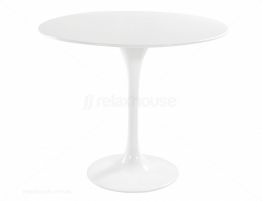 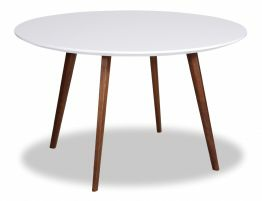 A fresh new take on mod Danish designs, the round Aura Dining Table 120cm Round - Natural was an instant classic. 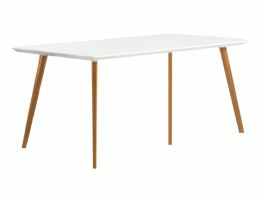 The Aura dining table presented the perfect 4-6 person table (with ample space), a smooth expansive white resin table top and unobtrusive solid ash angled legs. 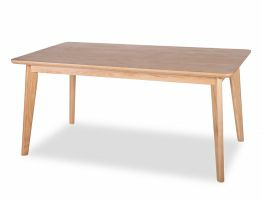 Our impressive reproduction Mario Cellini round wood dining table is a great fit for eat-in kitchens, breakfast nooks and smaller spaced dining rooms. 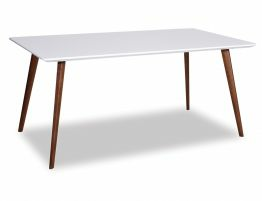 A crisp white smooth table top and natural solid Victoria Ash legs, this mid century modern inspired dining table will elevate your home’s style wherever you choose to use it. 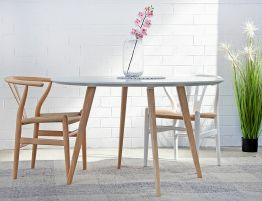 It can look casual, eclectic and elegant. 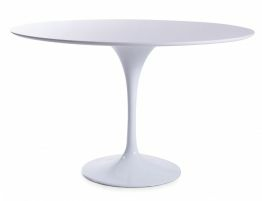 Upgrade your gatherings with an on-trend, designer inspired, round dining table.